Normandy has the lush green rolling countryside of my home county of Dorset and some granite outcrops to. It's essentially very similar to good old England which is probably why so many of us 'Brits' are here enjoying this great country, the slightly cooler winters and the hotter summers, the quieter roads and easy access to all of Europe, the excellent transport, the TGV south and the wonderful beaches on the west and north coasts. But here is a different culture and hooray for that, long may it remain. France really does offer it all; You can live in a 50 roomed chateau or a converted cider press, a chic apartment or a long barn, a converted mill or a an old bakery, a stud or a stable, a beach side chalet or a forest cabin, a mansion or a semi, a timbered worker's cottage or an ancient farm with a shed or just in a SHED. You can work in the blistering summer sun in the afternoon or you can take it easy after lunch You can drink Pear wine or cider with your radishes and tripe, or rosé wine with your foie gras and truffles. You can see every landscape you ever thought of, mountains and lakes, golden corn fields and rocky cliff faces, river valleys and snowy Alps, windy coastlines and red hot sandy beach fronts, ideal fishing coves and perfect twisty green lanes, dense forests and idyllic camping parks. You can eat natural honey with fabulous goat’s cheese in Calvados and oysters on the rugged west coast. Apples and leeks in La MANCHE and Pont l’Eveque cheese in the beautiful Eure and of course fresh baguettes and croissants JUST ANYWHERE. You can cycle the lanes on your old bike, hit the auto route in your Renault 4 or you can take the TGV to swim off the coast at St Tropez or a sleeper to Chamonix to ski. There’s nothing unusual about you if you do any of these things and you CAN in France! 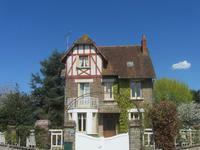 Manor House with Gite and four appartments in a separate building. Land and further oubtuildings to renovate. A mansion house in stone with slate roof, with very spacious lounge and a super grand . . .
A fine example of architecture in the region which used the locally produced red bricks. . . .
A fine french restaurant in the village within walking distance. An immaculate and professional restoration. An impeccably maintained property, stunning location and aspect with long views over landscapes. Land for horses and other animals. A private location with huge potential. Beautifully restored it retains original features and has incorporated high end insulation . 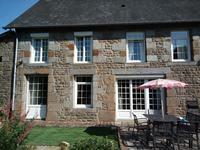 . .
A charming Normandy house, with a gite and land, in quiet village between the vibrant towns of Vire and Flers. Immaculate! Land for a horse or other animals. This house is simply delightful and situated in a quiet hamlet with friendly welcoming . . .
A very lovely house with beautiful accommodation for your friends too. A typically English . . .
A super house in the country with land and buildings for conversion to more accommodation. Vineyard and lakes. An appealing location for a family home in the country surrounded by trees, walks and views. . . .
A super opportunity to buy a very pretty house with a welcoming feel. Spacious ground floor . . .
A superb house in immaculate state of repair with breath taking views. Bures Les Monts. Full details on request. A stunning property decorated with taste and style and having a . . .
A super spacious four bedroom house with capacity to sleep up to a dozen people easily, . . . 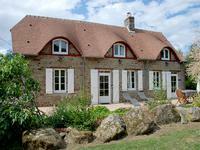 Situated between Montchamp and Vassy in rolling countryside, with fabulous views along many . . .
A modern and stylish house with four bedrooms large garden and basement area and in walking distance of the lively and friendly town of St Hilaire du Harcouet for all your needs. A spacious four bedroom house in an ideal location to situate your self near a vibrant town . 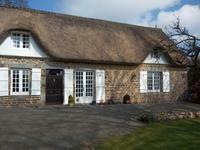 . .
Two houses being sold as one; A simply fabulous, spacious cottage in a Normandy Longere. A renovation project too! The beautiful town of Hambye is very near. 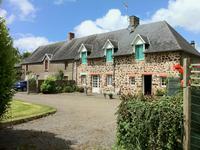 A charming rural situation with lively towns near at St Lo, Coutances and Villedieu les . . .
Great possibilities for this house and large convertible barn, since an exciting opportunity . . .
A delightful four bedroom village house, with private lawn and not overlooked. An ideal holiday home. A great family home in a quiet hamlet, with garage, outbuilding and pretty veranda, a useful . 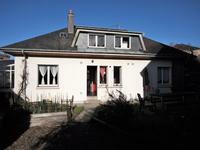 . .
A charming house for town living, with the centre of Vire a 30 minutes' walk and the very . . .
A beautiful and desirable property at the heart of a charming, un-spoilt village within . . .
A great location in a quiet hamlet, and just a stone's throw to the local village of Ger with . . . Exceptional. 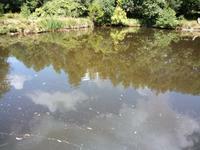 Opportunity to further expand this project, two small lakes with private fishing . . . The location and style of this three bedroom house is perfect. It is on a slight incline . . .
A very pretty longere and parcel of land in a delightful commune with long views and space to . . .
An ideal lock up and leave or a permanent residence with a boutique and rear workshop on . . .
A chic little town house with everything you need for a perfect home or holiday home. 100 kms to the port of Caen. A tiny bit of luxury in a quiet village - just what the doctor ordered for rest and . . .
A pretty longere holiday home in the valley of the Sée close to Sourdeval for all services and potential for loft and outside barn conversion. This is a charming spot to live opposite a fine restaurant in the valley of the Sée. It's . . .
now under offer - A charming cottage in the country. The tranquility of a rural location. No immediate neighbours. Bliss! Near Yvrandes. A lovely old house restored over the last 20 years with large garden to the front, and no . . .
A period house used as a family home for the owners veterinary practice, now remains huge potential for a guest house, being very close to the station at Briouze with a direct line to Paris. 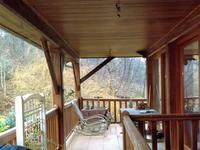 The house is situated in a quiet hamlet near a busy little town with all services, good . 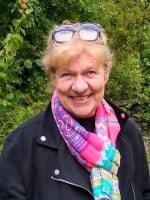 . .
Look no further if you want to own a piece of beautiful Normandy and want to integrate into a . . .
A busy village like Vassy deserves this great restaurant which is filled daily with eager . . . Opportunity to own your own big, little property in France with letting potential in a . . .
A terraced house in walking distance to the vibrant town of St Hilaire du Harcouet. A renovation project with potential for four bedrooms and covered courtyard and a garden 50 metres away. A terraced house with lots of room for expansion - this house requires a capable builder to . . .
A spacious village house with large kitchen and dining room, and two very large bedrooms. . . .
Land with ancient buildings for complete renovation. 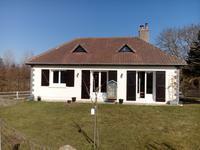 Fine outlook on top of the hill at Champ du Boult, near Le Gast lake, great views, lovely wooded walks and business opportunity. This is a "coup de coeur" to die for with stacks of space and all amenities on your door step . . .
A super two bedroom house with oil fuelled heating, a conservatory, a rear garden and land . 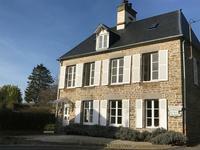 . .
A longère for restoration in a quiet and pretty location in rural Normandy near Tinchebray. 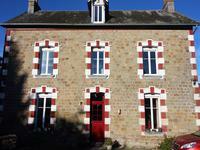 A good price for this longere to restore in the country, near amenities in the village of . . . Approximately an acre of land with an apple and cherry orchard and two buildings for . . .
A town house with potential to expand upwards. Situated in Tinchebray easy walking to the centre and a restaurant /bar and bakery less than 20 metres away. A cosy mid terrace house with three bedrooms, two shower rooms a large kitchen diner with . 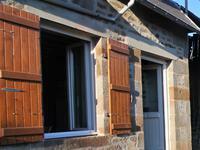 . .
A little house to decorate in a quiet village and what a great price for your first home in France. A two bedroom house previously the home of a butcher who used the rear smoke house for his . . .
A bargain price building to restore for habitation at the centre of vibrant town with good schools, commercial businesses, bars, cafes and restaurants and one hour to the ferry Port or Airport. Previously, this impressive building at the centre of town was a lively bar and games room . 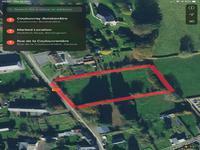 . .
A parcel of construtible land with valid permit to construct, in the village of Coulouvray. Aerial video by drone available on request. A very useful parcel of constructible land with Electricity, Water and Drainage ready to go . . .
A parcel of constructible land in the village of Fresne-Poret with water, electricity and drainage on site. An excellent opportunity to buy building land in a growing french village with a proactive . . .